If you have been planning to move house for some time now, chances are that you have already read tons of useful advice on what to do in the weeks prior to the moving day, as well as when the time to load your boxes on the van comes. What few people think about however is the things that they are not supposed to do unless you want to sabotage the whole project. Here we would like to focus on the don’ts side of your household removal. The key to a successful relocation is planning everything ahead and sticking to a strict schedule that accounts for every task that you need to take care of in the process. So, the most important thing not to do when you are moving homes is to slack off. Do not put off what you need to accomplish today for tomorrow. Book a highly-rated and reliable house removal service in London early on so that you do not miss out and have your back covered by trained professionals. Commence the packing of your goods for at least a couple of weeks prior to the moving date so that you avoid the risk of having to rush things and make a mistake. Minimizing the number of goods to pack will optimise the whole moving process. The third big Don’t of moving homes is trying to handle everything on your own. You will fail spectacularly if you attempt to do that. Moving requires time, a lot of manpower and skills that you are unlikely to possess. Your movers do, however. And there is no shame in asking a friend or your family to give you a hand in your time of need. 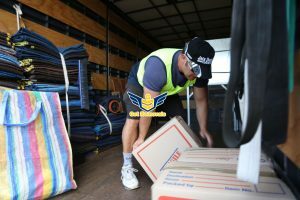 Avoiding exhaustion and overstrain is the wisest thing to do if you would like to be spared from all negative consequences of removals, including the depression that nearly a third of everyone who has ever moved houses reports suffering from. If you would like your moving project to go exactly as planned and you have only good memories from it in the end, you should forget about being pedantic. What we mean is that relocations are flexible and problems may arise on the go – you need to learn to adapt and not be stressed if things seem to mess up. If you have the proper mindset, reliable help and the motivation to succeed no problem is too big to fix. Last but not least, do not forget about your health and comfort on the moving date. Get enough sleep the night before, stay hydrated and wear comfortable clothes. It really is as easy as we make it sound.